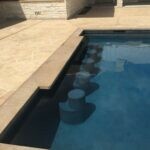 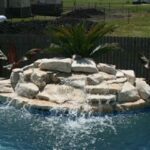 Adding a fountain to your swimming pool can add some life to your pool design. 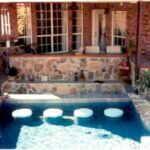 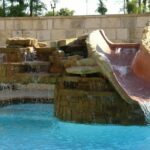 There are many styles of pool fountains that can be added to your custom pool design which will provide some fun for the kids and some tranquility for the grown ups. 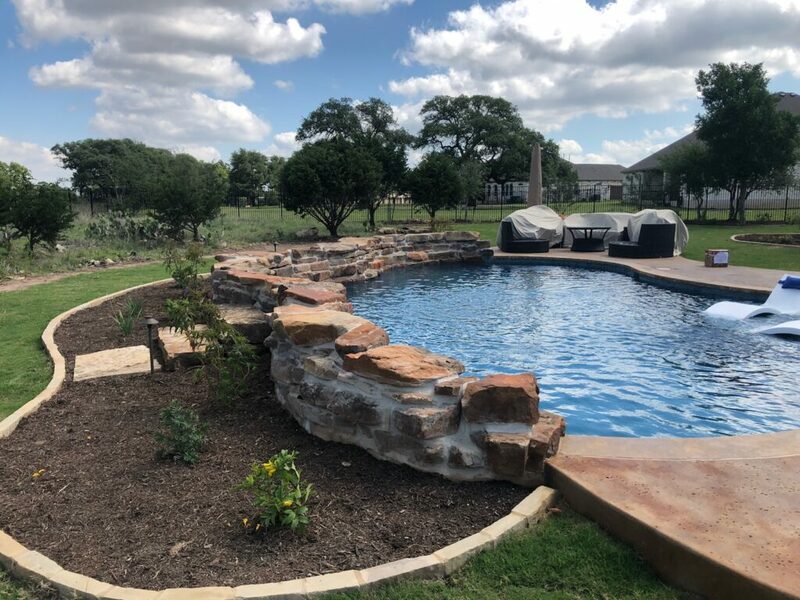 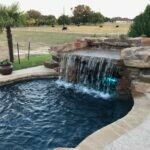 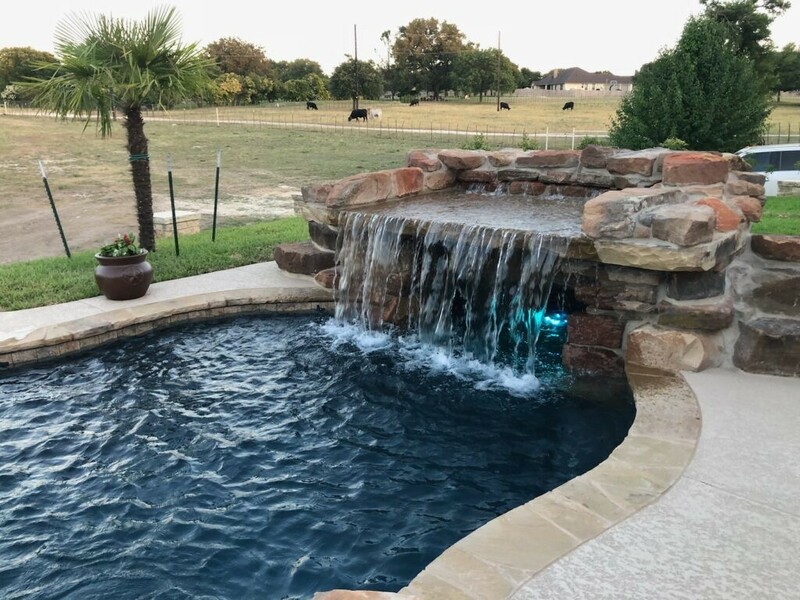 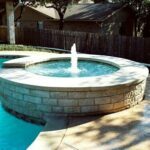 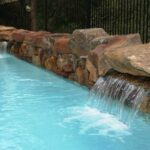 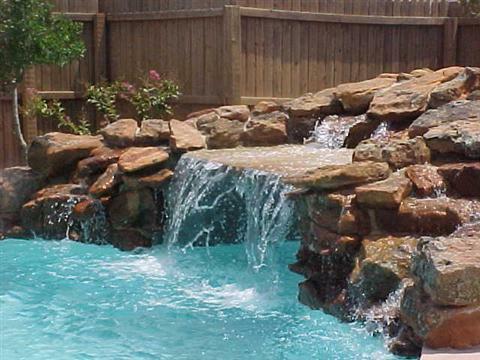 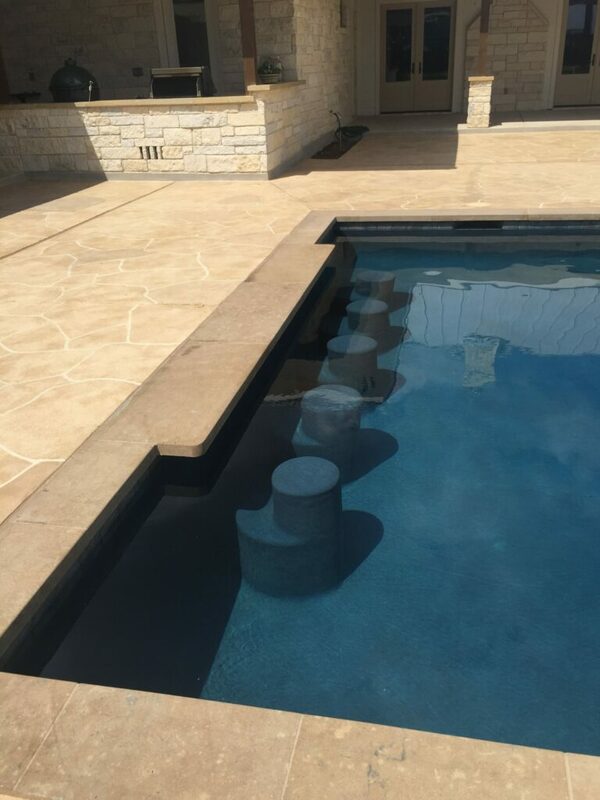 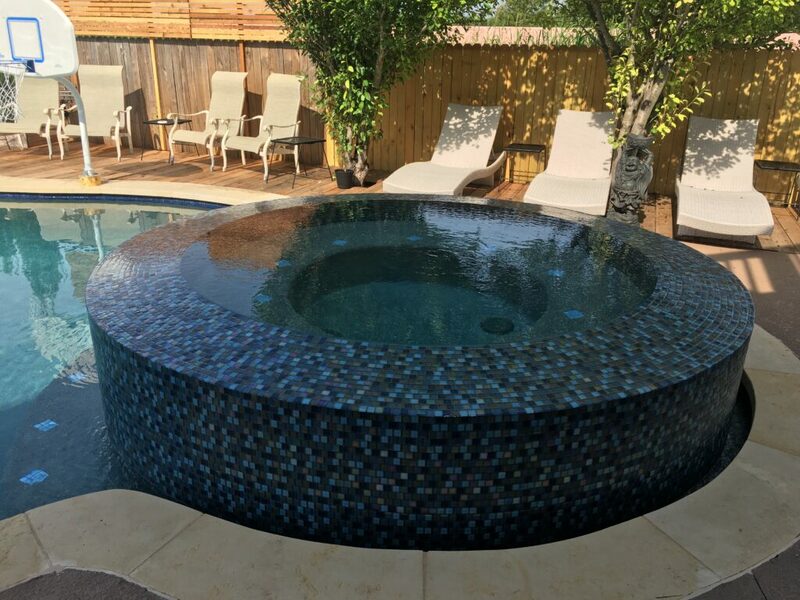 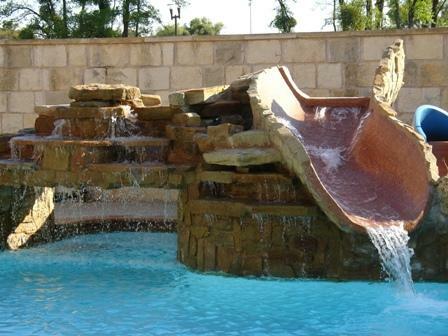 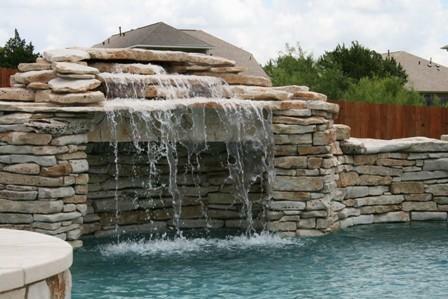 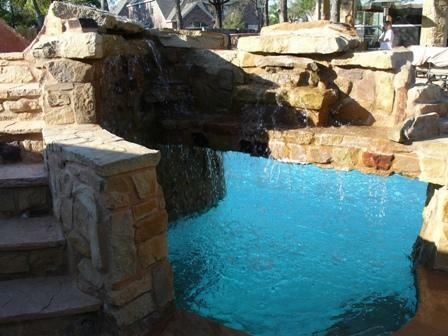 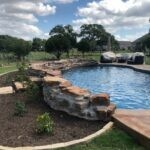 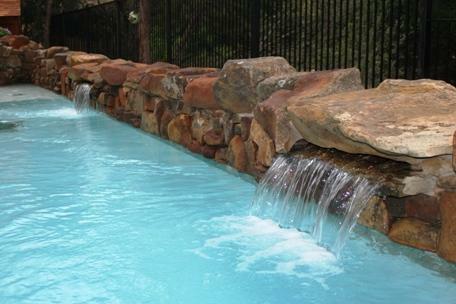 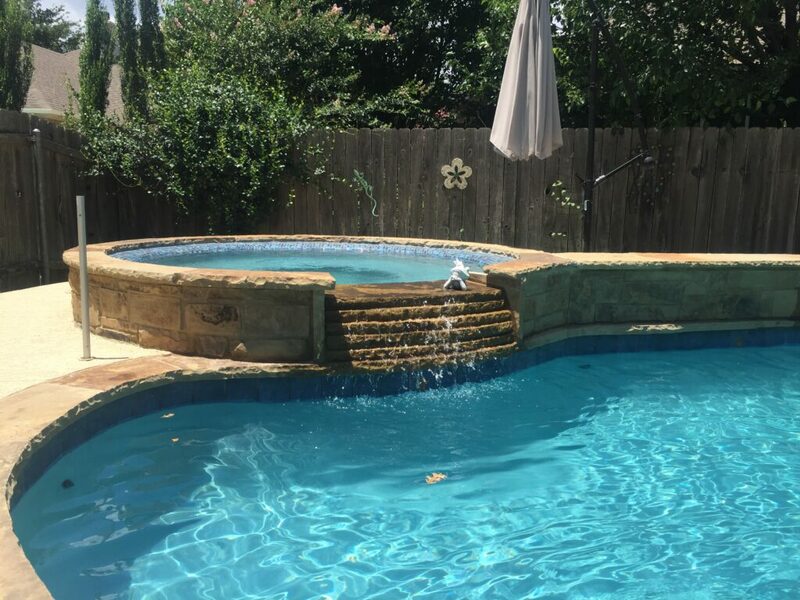 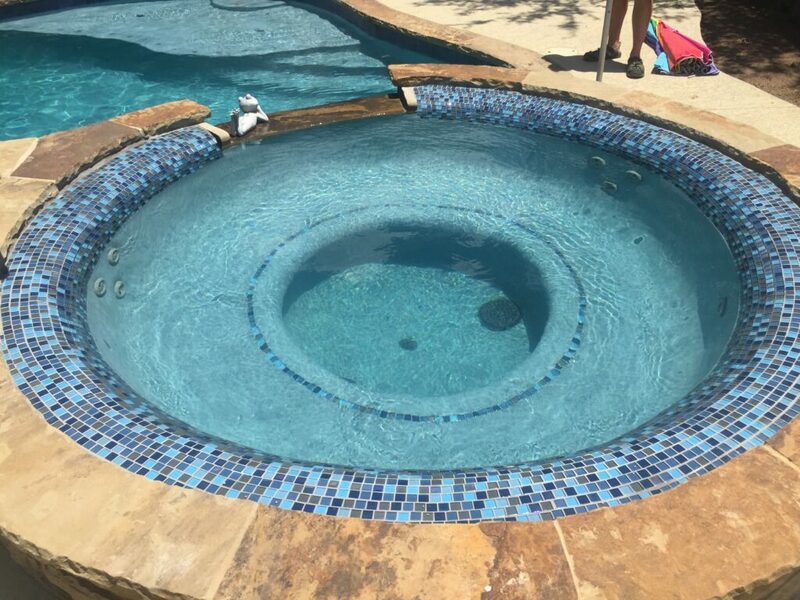 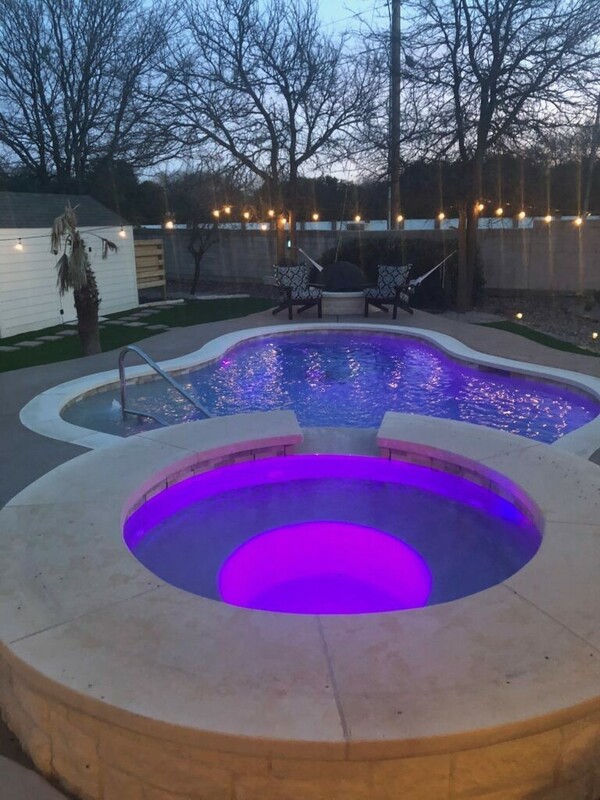 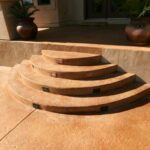 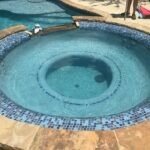 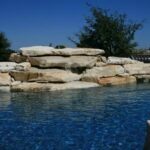 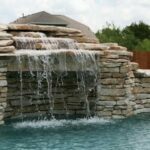 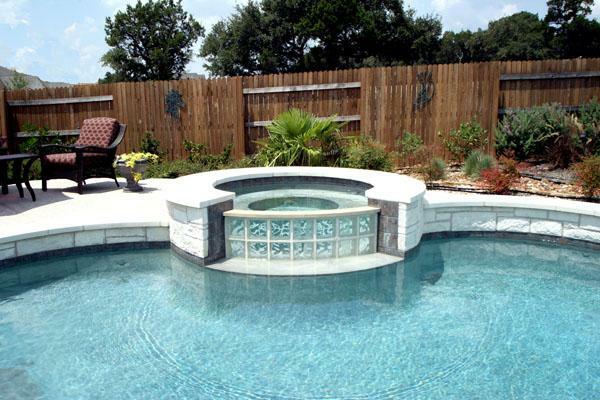 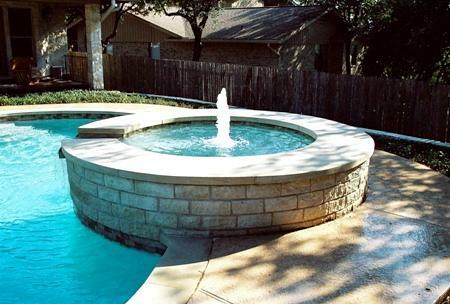 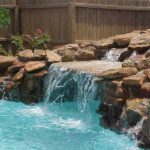 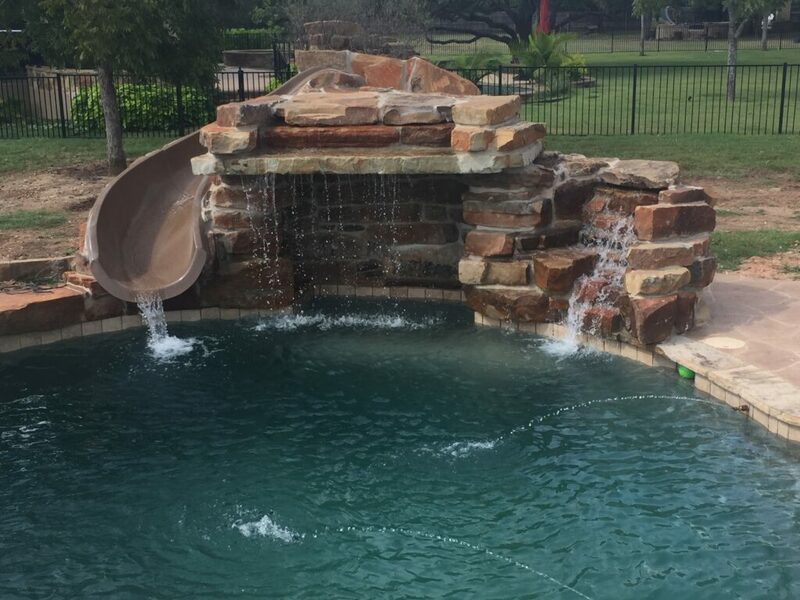 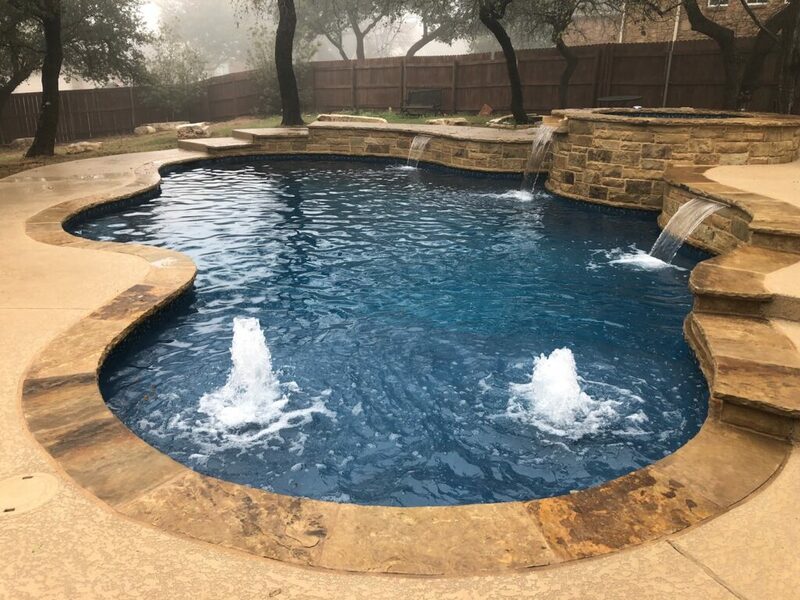 We build pools with fountains or waterfalls in Austin, Round Rock, Killeen, Temple, Marble Falls, Waco, Georgetown, Cedar Park, Leander, Lago Vista, Lakeway or other nearby areas. 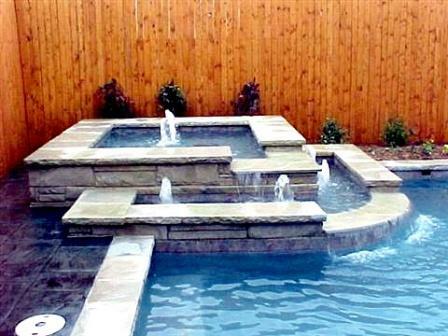 Some pool fountains can just flow straight up, while others spray across the pool. 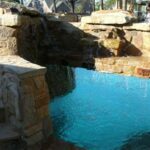 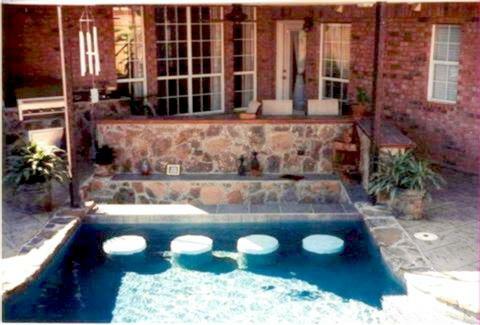 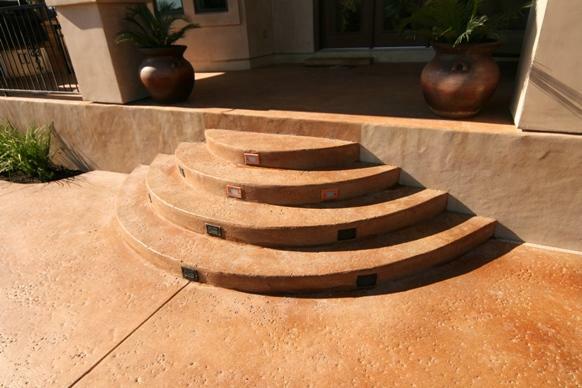 Pool fountains will enhance your swimming pool design and increase your overall enjoyment. 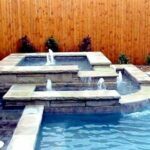 Plus, your pool fountain can be used to cool off the water when your pool is warm or warm your pool when it’s a little cold. 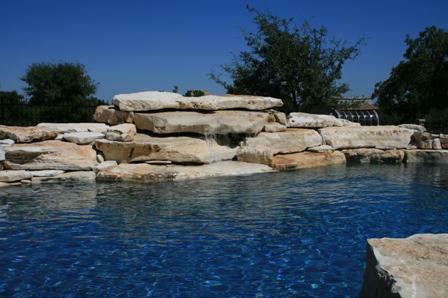 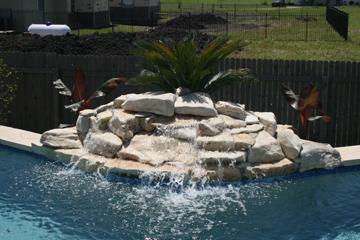 Ask us about adding a pool fountain to your swimming pool during the FREE estimate. 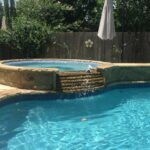 Give us a call today for a FREE pool estimate or contact us through our website.